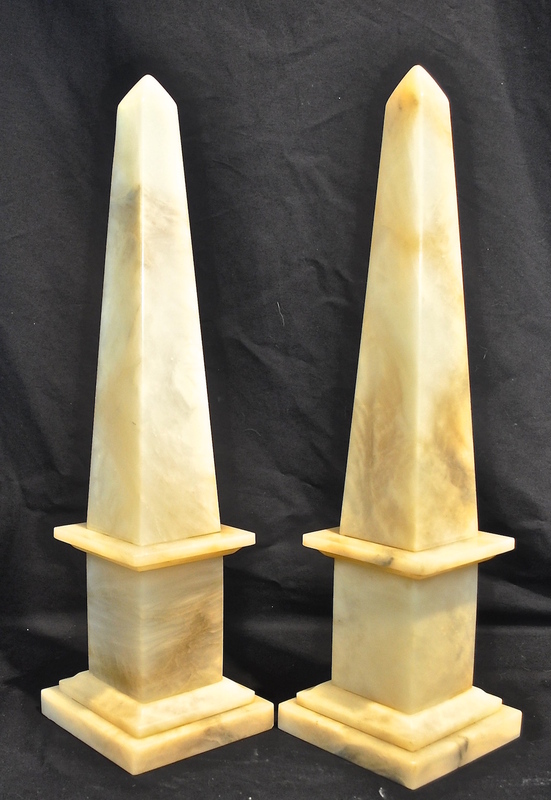 Very attractive vintage alabaster obelisks. 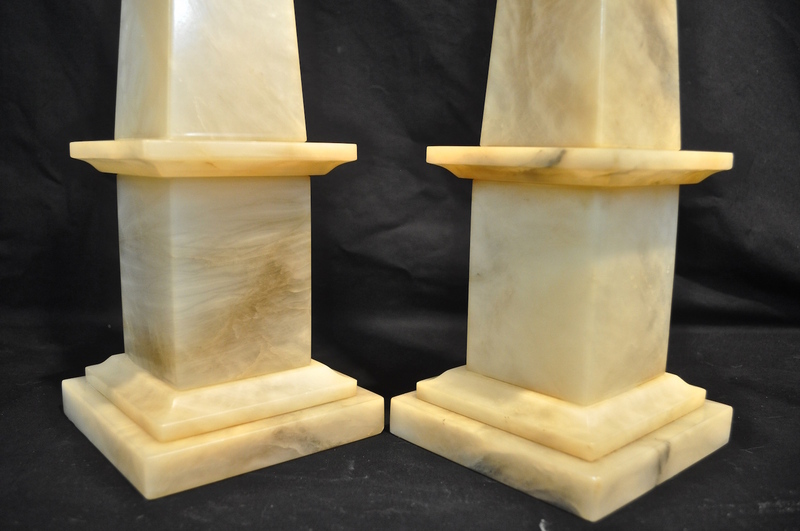 The creamy color has interesting shadows, and the sleek neoclassical design will attract the eye to your bookshelf, console or coffee table. 19 1/2 inches tall. Base 5 1/4 inches square. Both obelisks are in excellent condition. 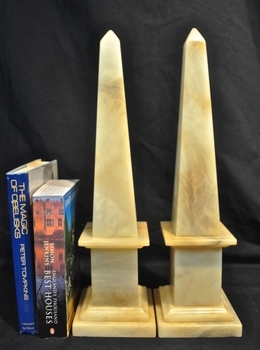 There are a two small nicks on the base of one of the obelisks consistent with being vintage. 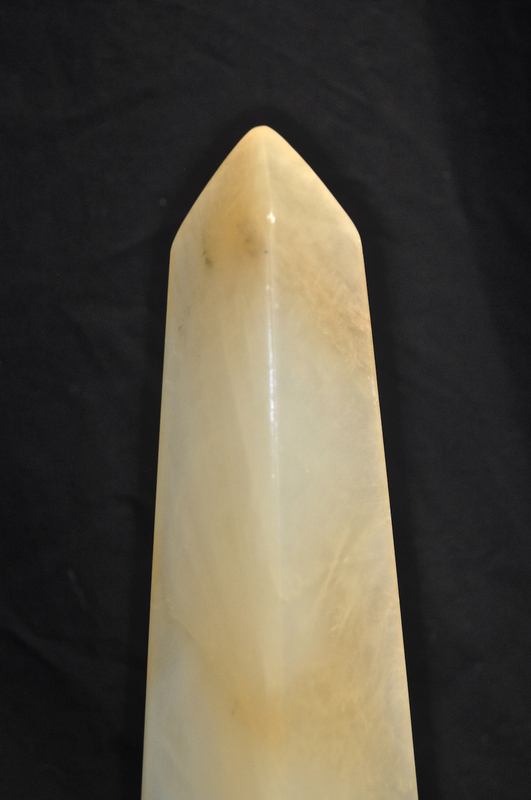 There are shadows in the alabaster throughout that one would expect. More photos available on request.